When it comes to magnifiers, Big Eye™ has been one of the most popular models since its inception. Industrial quality construction, superb optical characteristics, and new energy efficient slim bulb technology... the Big Eye™ is head and shoulders above the rest. Made in the USA. The famous Big Eye™ is one of the largest Magnilite® models! The crystal clear 7.5” diameter lens is made of optical quality glass. Configured standard with a 3 Diopter (1.75x) lens, but also available with a 4 Diopter (2X) optical quality lens. 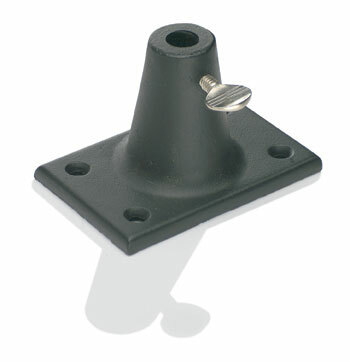 The Big Eye™ has all metal construction, which affords ESD safety by design. 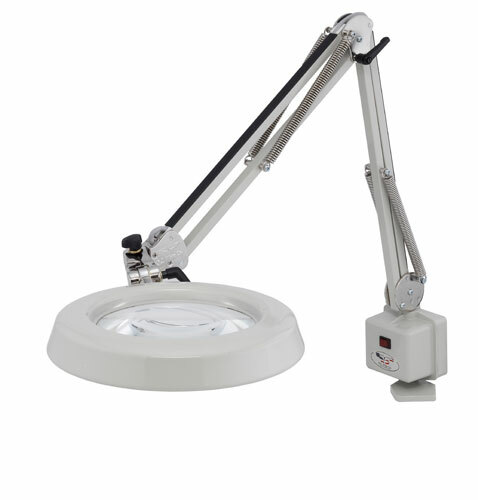 The slim, spun aluminum shade provides low profile viewing, with superb weight savings. The new slim T5 bulb allows the Big Eye™ to provide more light to the work surface, with less power consumed than ever before! Like all O.C. White models, the Big Eye™ is easily positioned on the specialized Ultraflex® armatures, for precision placement, and superb holding power over time. See why the Big Eye™ leads the world in quality and viewing area compared to other smaller round magnifiers.